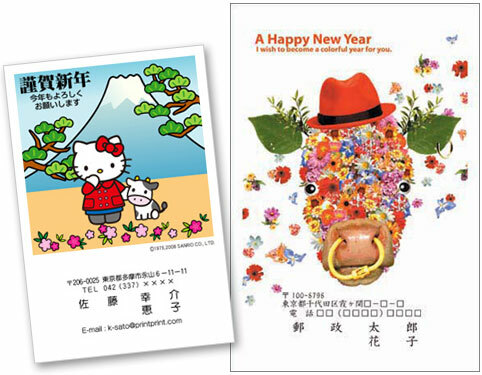 Households are putting in orders now for the traditional nengajo New Year’s postcards. The 2009 Year of the Ox cards are available in thousands of pre-printed designs, or card illustrations can be downloaded and printed at home, or are homemade user-creations. Mailed cards are held by the Japan postal service for delivery to residents on January 1, 2009. Many cards have a lottery number printed on the front, and prizes are awarded by the post office. Read more about nengajo and see where to download free designs and Japanese text to make your own cards.